22 OCT.- 02 Nov. 2020, Nativity Trail. 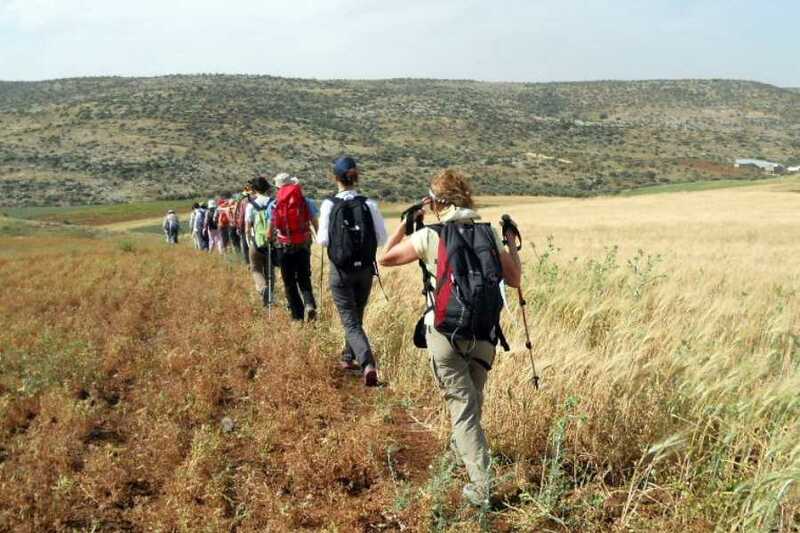 The Nativity Trail is an eleven day walking journey of approximately 160 km from Nazareth, the City of the Annunciation to Bethlehem, the City of the Nativity, where the original journey ended, and the Christian faith had its beginning. The carefully researched route is the first leg of the new Palestine Trail. 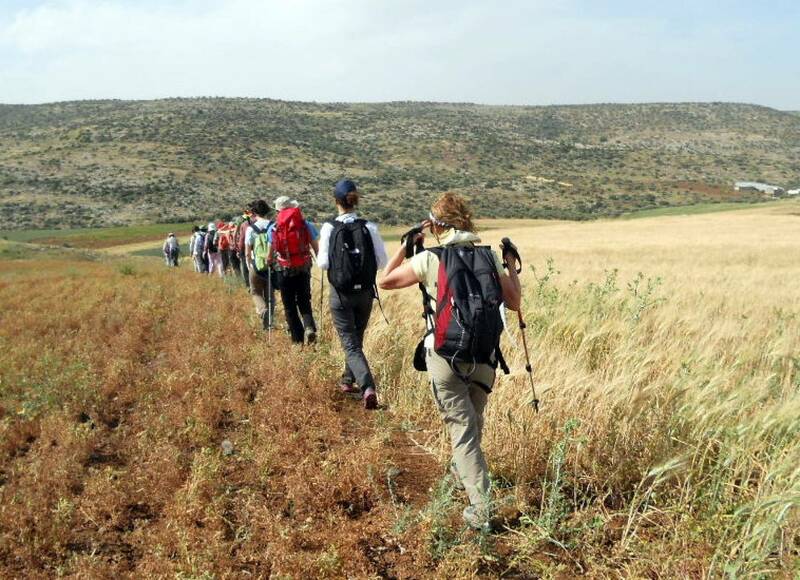 Walk from Faqua through the villages of Jalbun and Mughayir to Zababdeh. Overnight accommodation in community center. Walk through olive groves and forests, descending to the spring of Ain Fara’a. Arrive in Fara'a, visit the archeological sites of Jacob and his family. Dinner and overnight with local families. Walk through orchards to the broad sweep of Wadi Bidan, a picturesque valley. In Nablus, visit the Greek Orthodox Church of Jacob’s Well and Tel Balata. Relax with a the Turkish Bath along with a Palestinian traditional meal and music. Overnight: in the old city of Nablus. Visit the famous Maqams and continue to Mt. Awrma to rest and enjoy views of Palestine and the ancient archeological site. Continue to Aqraba and Majdal Bani Fadil. The agriculture hilltop town of Duma with it’s olive groves. Across deep valleys and over high hills, descend a rocky gorge to sea level at Auja Spring, one of the largest water sources in the Jordan valley. Greek Orthodox Monastery of Mt. of Temptation, clinging to the cliffs. Jericho, the oldest city on Earth. Drive to the Dead Sea, enjoy floating. The spectacular canyon of Wadi Qelt to St. George Koziba Monastery. Hike the arid mountains of the Bethlehem wilderness to the remote and dramatically situated Nabi Musa. Overnight: Nabi Musa guest house or camping. Follow desert tracks through Hyrcania, one of Herod’s mountain-top fortresses, to the legendary ancient Greek Orthodox Monastery of Mar Saba in its wild canyon setting. Ascend the hills of the Bethlehem wilderness reaching Beit Sahour and Bethlehem's Manager Square and the Church of the Nativity. Please Note: Journey segments and distances are approximate. ATG and Siraj reserve the right to amend the program.